The Department of Design & Computation Arts and the Textiles and Materiality Research Cluster invite you to attend Dr. Miranda Smitheram​’s talk on Thursday, February 7th. The talk will be followed by an informal gathering in the T&M Cluster Commons with snacks and light beverages. No registration required. Dr Miranda Smitheram is a designer, artist and researcher, with a practice centred around developing shapeshifting surfaces and mediated matter. Miranda’s research moves between digital, virtual and physical, with a particular interest in the mediated material that is developed through the flux of these processes. 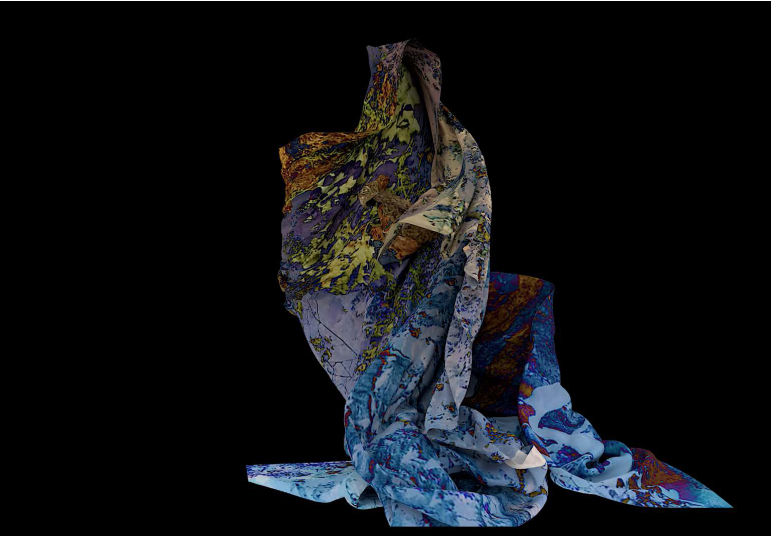 These mediated materials take shape as textile forms, structures and digital artworks that question the interaction and agency of human and nonhuman, place and space in a post-anthropocentric context. Miranda’s doctoral research on ontology and aesthetics in digital and virtual materialities engaged with embodiment, agency and tactility in 3D spaces. Presently living on an island at the bottom of the world, her research is interdisciplinary, and often involves hybrid systems or sympoietic entanglements of some kind. Currently, Miranda holds a Māori Postdoctoral Research Fellowship, working on research centred around collaborations with natural phenomena to develop speculative posthuman surfaces.